By 1970, the San Francisco’s vibrant music scene was thriving. New bands were being formed all across the city. Many of these bands dreamed of being signed to record label and releasing an album. For most bands, this remained a dream. However, for Stoneground, this dream became reality in 1971. Stoneground released their eponymous debut album, which was the first of eight albums they released. This includes their sophomore album Family Album, which recently, was reissued by BGO Records. It was released in late 1971, just a year after the Stoneground story began. When Stoneground were formed in 1970, the band was originally a trio. Its lineup featured guitarists Tim Barnes and Luther Billed and drummer Mike Mau. At first, Stoneground were happy playing as a trio. However, before long, Stoneground’s lineup began to expand. This came about when Tom Donahue, a DJ and promoter who Stoneground’s manger, introduced the band to the two remaining members of The Beau Brummels. They had been one of the pioneers the country rock sound. However, in 1968, The Beau Brummels, who had once been signed to Tom Donahue’s Autumn Records, were reduced to a duo. Since then, the band failed to reach the same heady heights they once had. Maybe it was time for a new challenge? So when Tom Donahue introduced Stoneground to The Beau Brummels’ vocalist Sal Valentino and guitarist and bassist John Blakely, the five musicians hit it off. They agreed to join forces as an expanded lineup of Stoneground. Soon though, five became nine. Despite now being a five piece, Stoneground’s lineup was still not complete. Stoneground decided to add four female vocalists to the lineup. Annie Sampson, Lynne Hughes, Lydia Phillips, and Deirdre LaPorte were added to the lineup of Stoneground. This newly expanded lineup of Stoneground began to hone their sound. At first, they played in San Francisco and in the Bay Area. Their popularity grew, and soon, Stoneground being booked to play further afield. This resulted in Stoneground being booked to tour America and Europe. It was during that tour that Stoneground found the final piece of the musical jigsaw. This was keyboardist and bassist Pete Sears, who later, would join Jefferson Starship and Hot Tuna. He became the tenth and final member of Stoneground. Having returned home from what had been the longest tour of their career, Stoneground returned to playing in San Francisco. That was where they were spotted by an A&R executive from Warner Bros. They signed Stoneground, and early in 1970, entered the studio to record what became their eponymous debut album. Now signed to Warner Bros, Stoneground began work on their eponymous debut album in London, at Trident Studios during a UK tour. However, when Warner Bros heard the tracks they weren’t happy with them. This resulted in Stoneground having to rerecord their debut album. This time, Sal Valentino assumed the role of songwriter-in -chief. The former Bueau Brummel penned Looking for You, Added Attraction (Come and See Me), Dreaming Man, Stroke Stand and Colonel Chicken Fry. John Blakely and Tom Donauhue wrote Brand New Start. The rest of Stoneground was made up of cover versions. One of them was Reverend Gary Davis’ Great Change Since I’ve Been Born. It was joined by Ray Davies’ Rainy Day in June and John D. Loudermilk’s Bad News. The other cover version was John Mayall and Sonny Thompson’s Don’t Waste My Time. These tracks would become Stoneground. Recording of Stoneground took place at Sunwest Studios, Los Angeles during early 1971. By then, Stoneground were an eleven piece band. Keyboardist and percussionist Ron Nagle had been added to Stoneground. This expanded lineup began work on Stoneground. The rhythm section included drummer Mike Mau, bassist and rhythm guitarist John Blakeley and bassist and keyboardist Pete Sears. Sal Valentino played electric and acoustic guitar while Luther Bildt played guitar and Tim Barnes added lead and bottleneck guitar. Keyboardist and percussionist Ron Nagle was joined by vocalists Annie Sampson, Lynne Hughes, Lydia Phillips, and Deirdre LaPorte. Taking charge of some of the lead vocals were Luther Bildt, Tim Barnes and Sal Valentino. He also co-produced Stoneground with the band’s manager Tom Donahue. Eventually, the album was complete and delivered to Warner Bros. They had great hopes for Stoneground, and embarked upon an extensive promotional campaign. This made sense. By then, Stoneground were already a popular band with a loyal following. That is despite not releasing an album. However, Stoneground had spent much of their time playing live, and their lives shows were extremely popular. No wonder. Stoneground were a talented and versatile band who seamlessly switched between and combined genres. They continued to do this on their eponymous debut album. When of Stoneground were sent out to critics by Warner Bros, the band had become the travelling house band for the Medicine Ball Caravan. This was seen by some as Warner Bros trying to jump on the success of the concert film genre. However, Stoneground could walk the walk. Their eponymous debut album was proof of that. As critics played Stoneground, they heard a captivating fusion of blues pock, pop, psychedelia, rock and soul. Here was a tight, talented band who played with a fluidity that would be the envy of many bands. Stoneground’s potential shawn though on what was an accomplished and eclectic album. It was living up to Warner Bros heavy marketing campaign. Despite the time and money spent on Stoneground, the album failed commercially. Although Stoneground were a popular live band, the album failed to trouble the US Billboard 200. For Stoneground and Warner Bros this was a huge disappointment. Soon, everyone’s thoughts turned to Stoneground’s sophomore album. After the release of Stoneground, the band continued in their role as the travelling house band for the Medicine Ball Caravan. They would feature in the the Medicine Ball Caravan film. It documents a hippie caravan on an 8,000 mile road trip. A total of 154 buses, truck and groups like Stoneground made the journey. When the soundtrack was released that accompanied the film, it featured three songs by Stoneground. This introduced their music to a wider audience. So they hoped would their sophomore album. However, by the time work began on what became Family Album, there had been several changes in Stoneground’s lineup. Keyboardist and basset Pete Sears left to play on Rod Stewart’s album Every Picture Tells A Story. His replacement was keyboardist Cory Lerios. Two other departure were guitarist Luther Bildt and drummer Mike Mau. He was replaced by Stephen Price. This meant that Stoneground had been reduced to a ten piece band. The new lineup would make their recording debut with Stoneground on the 8th of August 1971. This recording session wouldn’t take place in the one of San Francisco’s recording studios. Instead, it would take place in KSAN, a radio station in San Francisco, had booked Stoneground to play in what was a series of live broadcasts. Stoneground would take to the air on KSAN in San Francisco on Sunday the 8th of August 1971. For Stoneground, this was a huge booking. Potentially, they were about to be heard by their largest audience. So before they took to the air, Stoneground began to hone a potential setlist. When Stoneground arrived at KSAN in San Francisco on Sunday the 8th of August 1971, this was the first time the band had recorded as a ten piece. The rhythm section included drummer Stephen Price, bassist Brian Godual and John Blakeley on bass and rhythm guitarist Sal Valentino played electric guitar, acoustic guitar and percussion. Meanwhile Tim Barnes added lead guitar and Cory Lerios keyboards. This left just the vocalists. Annie Sampson, Lynne Hughes, Lydia Phillips, and Deirdre LaPorte were joined by vocalists Tim Barnes and Sal Valentino. Once the band was setup, they began to work their way through what was a truly eclectic set in front of a specially invited audience of 200 people. Stoneground opened their set with Get Rhythm which gave to Passion Flower. It was followed by a reworking of the traditional song Corrina and Johnny Cash’s Big River. They would later find their way onto side one of Family Album. Side two would later feature Won’t Be Long before Super Clown, was followed by Mississippi John Hurt’s Richland Woman, Queen Sweet Dreams and the spiritual sounding Precious Lord. Nine tracks into a set that combined elements of from Americana to blues rock, country, folk, gospel rock and rock ’n’ roll Stoneground had the audience captivated. The audience watched on as Stoneground showcased their versatility and fluidity. They opened what became the third slide of Family Album with a cover of Bob Dylan’s It Takes A Lot To Laugh (It Takes A Train To Cry). It gave way to Hank Williams I Can’t Help It, and then No Doreen. However, with just three songs to go, Stoneground up the ante on It’s Not Easy and If You Got To Go. Stoneground unleash a riotous reworking of Jerry Williams’ Total Destruction To Your Mind. After what was a truly eclectic, fifteen song set, Stoneground take their leave. Later a decision was made to release the set that Stoneground had recorded at KSAN as part of a double album. It would take up the first three sides. The fourth side featured five tracks Stoneground recorded at the Record Plant in Los Angeles. This included Ron Nagle’s You Must Be One Of Us; Cory Lerios’ All My Life and Lynne Hughes’ Where Will I Find Love. It was followed by a cover of the joyous sounding Gonna Have A Good Time. Closing side four and Family Album was Jam It. It’s a near six minute jam penned by Stoneground where the ten piece band to showcase their considerable skills. 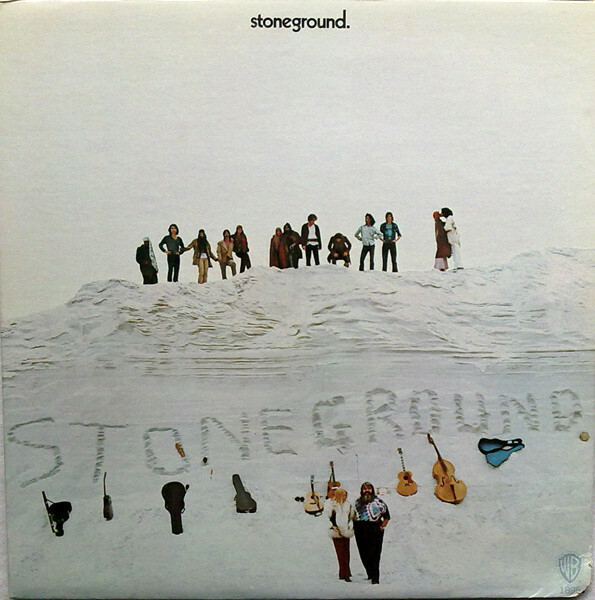 With Family Album completed, Warner Bros began promoting Stoneground’s sophomore album. Copies of Family Album were sent out to critics. They hailed what was a truly eclectic album as a captivating album. It found Stoneground switching between genres and playing with freedom, fluidity and spontaneity. Some critics called the album Stoneground’s finest hour. Later, Family Album was regarded by some critics as the band’s best recording. It showed very different sides to truly talented band. live tracks and songs recorded at the Record Plant. Family Album showed the two sides of Stoneground. They were a talented band who many felt came into their own in the live setting. However, in the studio, Stoneground were capable of crafting memorable music like All My Life, Where Will I Find Love, Gonna Have A Good Time and Jam It. 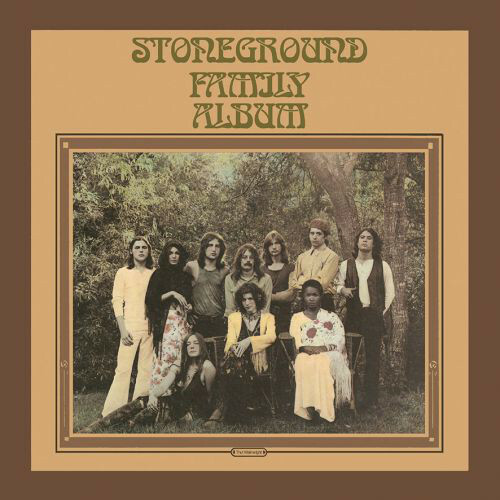 Given Family Album showed the two different sides to Stoneground, Warner Bros had high hopes for the album. Alas, it wasn’t to be. When Family Album was released late in 1971, the album followed in the footsteps of Stoneground and failed to chart. It was another disappointment for Stoneground. However, their career continued at Warner Bros.
Just like its predecessors, Stoneground 3 failed to make an impression commercially upon its release in 1972. Warner Bros dropped Stoneground. That was the final straw for Stoneground. As 1973 dawned, the members of Stoneground had decided to call it a day. Stoneground’s swan-song took place at the Sacramento Memorial Auditorium. This was the last time the original lineup of Stoneground played together. Although Stoneground would reunite and record further albums, the original lineup of Stoneground never played together again. Their finest moment was their sophomore album Family Album, which was remastered and rereleased by BGO as a two CD set. This reissue of Family Album is a welcome reminder of Stoneground, one of San Francisco’s great forgotten groups. ← YES-TALES FROM TOPOGRAPHIC OCEANS-DELUXE EDITION BOX SET.